This was my Ed Fringe show 2018, which I have mostly spent the last year working on. It’s a play! 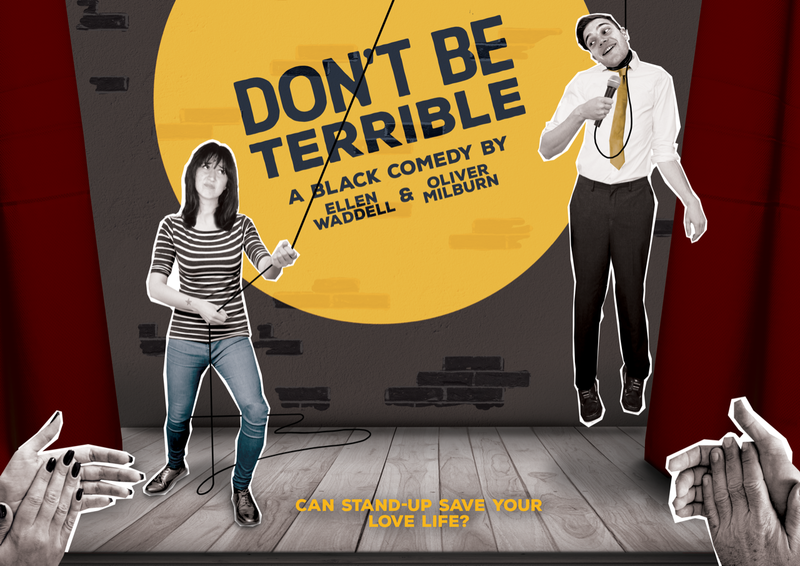 Or rather a dark comedy, written and directed by myself and Oliver Milburn. It stars Holly Ashton and Dan Cech Lucas. Can stand up save your love life? Nice-guy Steve thinks so. That’s why he’s asked Alice, an up-and-coming stand up, how to make people laugh. It’s his last-ditch attempt to distract his girlfriend from the ‘funny’ guy at work. Unfortunately, Alice believes in comedy much more than she believes in love, and pain much more than she believes in happiness. She is not the guru he was expecting. It will be doing a London run, and more stuff, because it’s pretty good and people at the fringe seemed to dig it, and that’s nice.